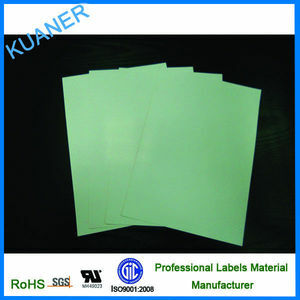 Custom die cut size blank waterproof label, self-adhesive waterproof blank label sticker Specification Item Blank label material Paper, art paper, PP, PVC, PET, transparent, epoxy resin, v inyl, board paper Logo Buyer's logo and designs are acceptable Color Pantone ,CMYK or PMS Printing technique Digital/ offset / flexo / UV / toppan printing ,silk screen printing ,matte/gloss lamination Feature Eco-friendly,anti-counterfeit,waterproof,oil-proof,heat-resistant,anti-ultraviolet etc. 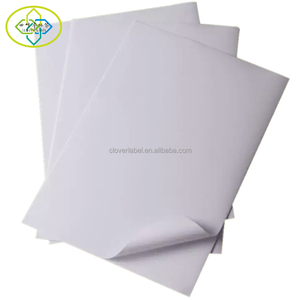 MOQ 1pcs Packing In roll(about 2000pcs/roll) or in sheet, as client's request Designs OEM design or according to the customer's request Shipping By sea or by air, also can by DHL /UPS / Fedex /TNT Characteristics 1 Durable; waterproof; tear-proof; static-proof; oil-proof, heat-resistant, anti-ultraviolet 2 Hologram or hot foil or serial number can be used 3 Good quality printing, durable 4 Disposable, aseptic, bio-degradable, recycled. 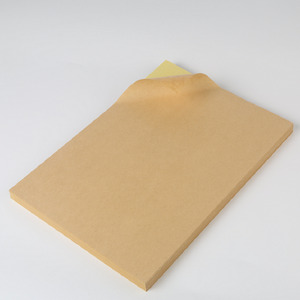 5 Eco-friendly, nontoxic, odor free Competitive advantages 1 100% manufactory 2 Over 10 years of printing label and production experience 3 Reasonable price, prompt delivery, Eco-friendly 4 Well in pre-sale service & after-sale service Sample 1 Sample lead time: 5 working days 2 Sample cost will be refund if the quantity is reasonable Payment 1 30% deposit by T/T and balance paid before shipment . Double sided sticker printing, blank double layer label sticker, double-sided adhesive label Product Details Item custom sticker with glossy lamination Size Customized sticker Color CMYK/PANTONE Material Paper/PVC/PET/PE/PP/BOPP Brand OEM/ODM Finsih Glossy lamination/matte lamination/UV/gold foil/silver foil Folding Perforated line/center fold/not fold Applications Commodity,medicine,food,electronic,packing. 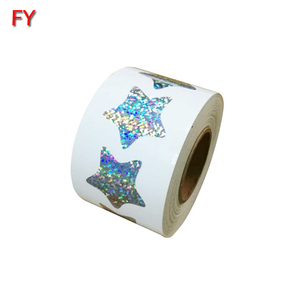 widely used Purchase Info Payment T/T, L/C, O/A, D/A, D/P Sample time 2-4 working days Lead time 5-10 working days after confirm the order Product Details More stickers for your to choose: Buying Guides Buyer Feedback Send your Inquiry Detials in the below Click " Send " Now ! 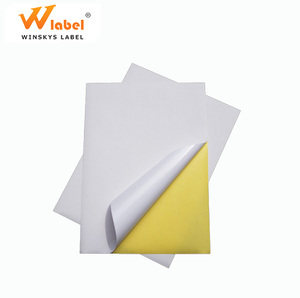 Self Adhesive Sticker Coated Paper Label Sheet White Shipping Label 2.25" x 1.25"
Alibaba.com offers 1,352 blank adhesive sheet labels products. About 83% of these are packaging labels. 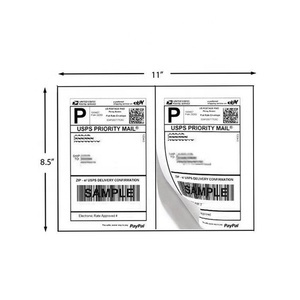 A wide variety of blank adhesive sheet labels options are available to you, such as heat sensitive, waterproof, and barcode. 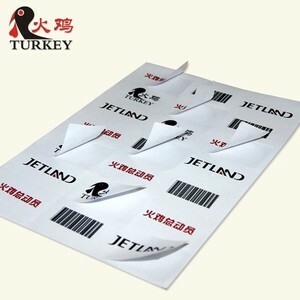 You can also choose from custom sticker, shipping labels. As well as from paper, vinyl, and pet. 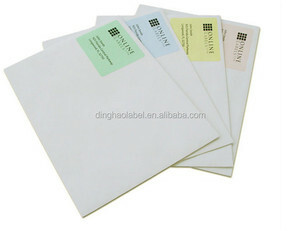 And whether blank adhesive sheet labels is free samples, or paid samples. 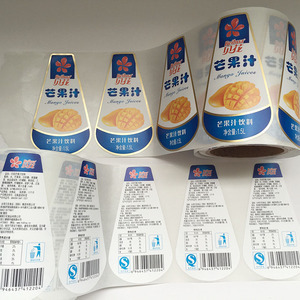 There are 1,287 blank adhesive sheet labels suppliers, mainly located in Asia. 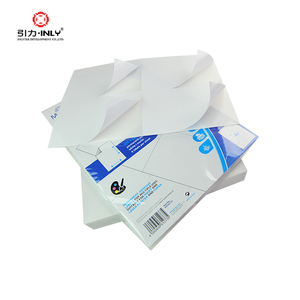 The top supplying countries are China (Mainland), Vietnam, and India, which supply 98%, 1%, and 1% of blank adhesive sheet labels respectively. 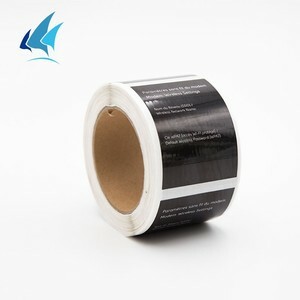 Blank adhesive sheet labels products are most popular in North America, Domestic Market, and Mid East. You can ensure product safety by selecting from certified suppliers, including 260 with ISO9001, 88 with ISO14001, and 84 with Other certification.